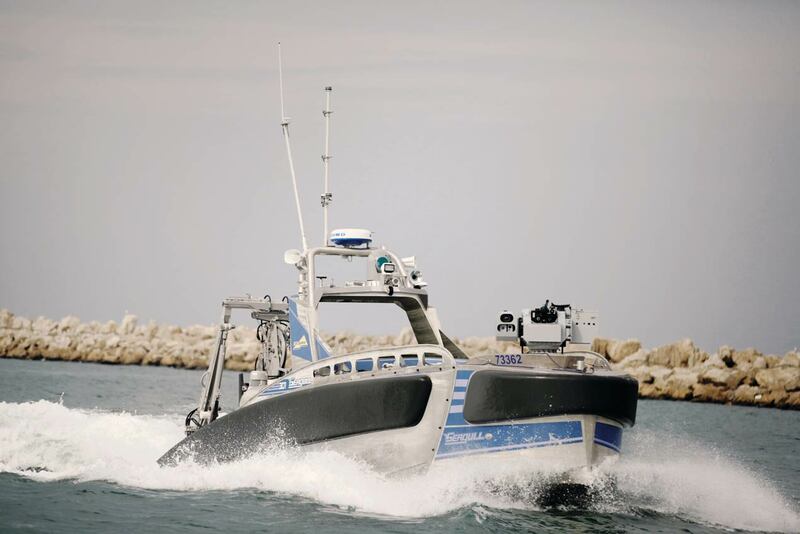 Seagull, Elbit Systems’ multi-mission Unmanned Surface Vessel (USV) system, demonstrated live, a remotely operated Anti-Submarine Warfare (ASW) mission. Using satellite communications, the Seagull platform, sailing in Haifa Bay, Israel, performed the operational ASW mission using control consoles situated some 3,515km away in Elbit Systems booth at the DSEI exhibition. Operating its Dipping Sonar and Elbit Systems’ proprietary software, Seagull performed real-time detections and classification of objects, demonstrating capability to deter and dissuade hostile subsurface activity. The Seagull team included two operators, a USV operator and sonar operator. Seagull is a 12-metre long USV that can be operated from a mother-ship or from shore stations. It provides multi-mission capabilities including ASW, mine hunting & mine sweeping, electronic warfare, maritime security and underwater commercial missions, leveraging modular mission system installation and offering a high level of autonomy. It features inherent C4I capabilities for enhanced situation awareness and mission endurance of more than four days. DARPA in the US is working on an ASW Continous Trail Unmanned Vessel for tracking quiet diesel electric submarines. In February this year, Atlas Elektronik also announced that it had won a major export contract to deliver two ARCIMS USVs with an ASW surveillance mission module that can detect, classify and locate underwater threats such as submarines, mini-submarines and diver delivery vehicles.